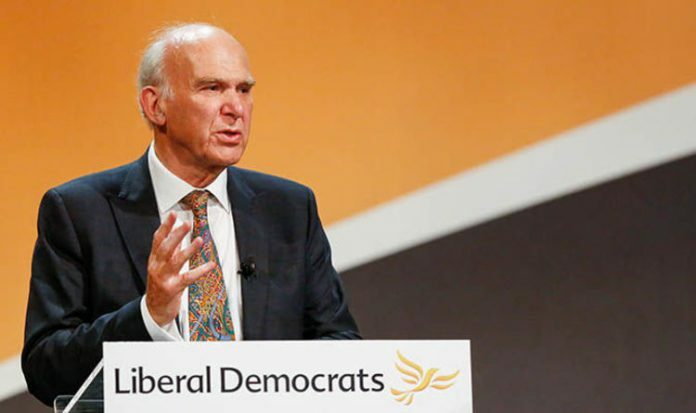 Lib Dem leader Sir Vince Cable is already looking for possible members of this centrist alliance, according to the source. Among those deemed interested to split from their party whips are two Labour MPs, Chuka Umunna and Chris Leslie, and Conservative backbencher Anna Soubry, they claimed. Speaking to Business Insider, the source revealed the alliance is not yet thought to become a new political party, but rather a bloc of moderates MPs coming together when there are certain decisions to be taken. They added the Lib Dems are already “putting in a position to be non-tribal and reach out when this happens”. They added: “It begins with a coalition of forces which finds expression in the House of Commons. “Will it be a new political party? Probably not. The process should take place “in the next six month or so”, when these moderates believe will either take place a second Brexit referendum o new general elections, the source explained, also revealing they are actively involved in discussion with MPs from other parties. They said: “The most likely outcome is that we have a parliamentary stalemate, in that there’s no majority for any sort of Brexit. “Parliament will turn around to the people and ask them for help. “You have a referendum or a general election and in the case of the former, you’d have people arguing to remain in the EU standing together on platforms. “But the latter, an election, would bring about that moment even faster. “Neither the Tories or Labour can produce a manifesto on Europe without breaking themselves up. “So in a general election, there would be a break up. Last month, rumours a new centrist movement was about to be created were fuelled when Mr Cable missed vote on the Brexit legislation in the House of Commons to discuss the creation of a centrist, anti-Brexit party over dinner, according to The Sunday Times. But despite conceding he was absent to hold a “private discussion” he denied plotting the birth of a new movement. The Lib Dem leader is set to unveil on Friday reforms aiming at redesigning the party to attract more supporters. The changes are set to include allowing non-party members vote in leadership contests and non-MPs stand to be leader.